It’s now the time to shake away the cobwebs from the deep hibernation of winter and get some good old country air. Where better than good old Lake Bled in Slovenia at the foot of the Alps and take in some bracing mountainous air. 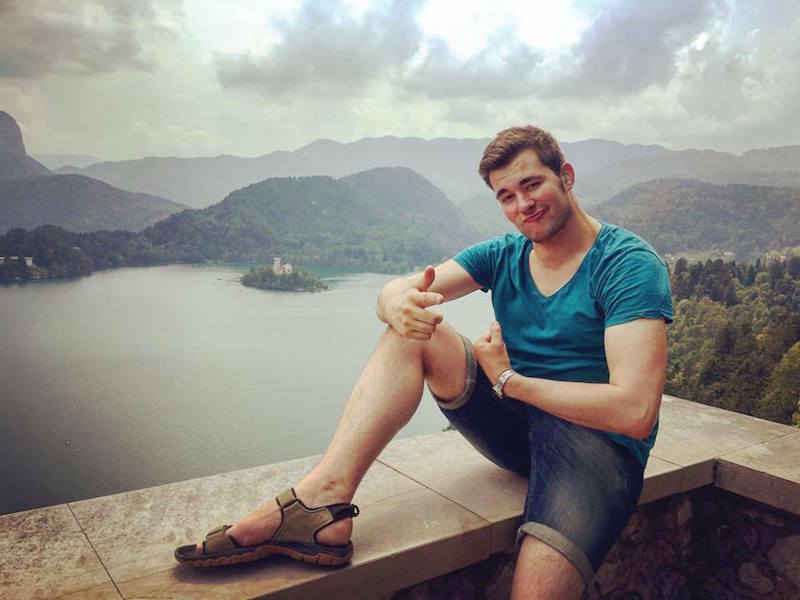 You can definitely see that it brings a relaxed and humorous side to me as I pose (rather elegantly I do believe) in front of the lake with the picturesque Bled Island in the middle that’s a huge draw for wedding partners. Why? Traditionally, it is considered good luck for the groom to carry his bride up the steps on the day of their wedding before ringing the bell and make a wish inside the church. So, who wants to carry me?